Powerful seismic events are shaking the world. Something sinister is emerging. An Ancient Conspiracy, the Secret of the Templars, and a fiendish source of pure Evil are responsible. The death of a back bedroom computer hacker in Paris is just the beginning of another extraordinary adventure for George Stobbart and Nico Collard. 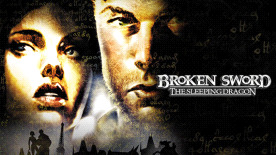 Welcome to the world of Broken Sword. Breathtaking graphics driven by cutting edge technology.